Kevin Cornwall is responsible for Avaya's Global Information Technology organisation. 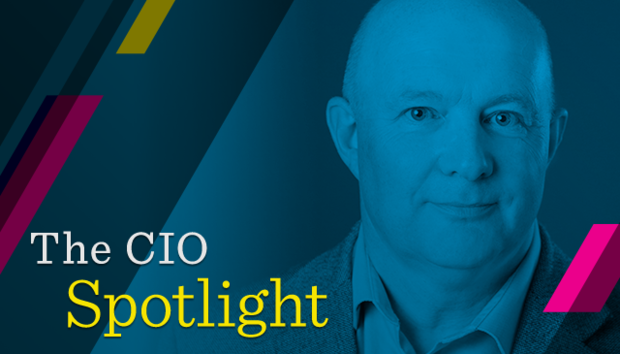 His goal is to transform the user experience by simplifying IT services and business capabilities, which ultimately accelerates digital transformation for customers, partners and employees and allows new business models like cloud to thrive. Since joining Avaya in 2001, Cornwall has held key leadership positions including Enterprise Architecture Lead, Global Operations VP, CISO and International IT Director, while also leading initiatives aimed at nurturing and enabling a culture of innovation. What was your first job? For my first student job, I would clean classrooms during the week. On the weekends I also worked in a garage. When I left school at 18, I got my first real job working for a sugar refiner in their laboratory at the largest sugar refinery in the world in London. Did you always want to work in IT? Not initially to be honest. I was never certain what I wanted to do. It didn't take me long to migrate to the one computer in the lab and start creating programs to make my life easier—and that's what first inspired this career path. What was your education? Do you hold any certifications? What are they? I was very fortunate to have a fantastic boss at the sugar refinery he obviously saw some glimmer of hope in me and sponsored me through a Chemistry & Electronics Diploma and then a Computer Science Degree at Hertfordshire University. I am also a certified Togaf Enterprise Architect. Explain your career path. Did you take any detours? If so, discuss. As I said earlier, I worked in the sugar industry in the lab when I first started my career in quality control, then moved to process control in a 1 million tonne a year plant and loved it. In a 24x7, 365 days a week operation, you really get to know the meaning of real time. I then became fascinated by the world of networking and was an early pioneer in connecting the production world with the business world. I was quite good at that and progressed to network and telecoms for the group I worked for, and then eventually moved from manufacturing to high tech when I moved and lived in the USA. What business or technology initiatives will be most significant in driving IT investments in your organisation in the coming year? In our drive for growth we are targeting simplification and a disruptive shift to a digital footprint for our customers and partners. Avaya has been an evolution and while we have acquired companies and upgraded systems, we need to ensure our processes evolve and we reduce complexity. History has shown we have been the masters of customisation, and now we are moving to a more nimble and agile capability. In the world of cloud, we aim to reduce our complexity and automate to improve our customer and partner experience--a key goal at Avaya. Simplify Avaya - Disrupt the old way of thinking and drive to more agile applications and processes to support our Transform strategy. Cloud is our top priority. For those customers who do not want cloud yet, we can do that too and very well. The customer drives our approach and we are listening to them and partners across all our portfolios. Innovate Avaya - Bring innovation to the table that extends the value of IT across the business. On Avaya - Be the best example of the use of our Enterprise Products and demonstrate the value of Avaya internally. Run Avaya - Optimise our IT operations and deliver best-in-class services to our end customers, partners and end users. Secure Avaya - Deliver secure enterprise wide infrastructure services globally. Compliant Avaya - Ensure Avaya Systems and Data are compliant to international standards such as GDPR, HIPPA, PCI. Does the conventional CIO role include responsibilities it should not hold? Should the role have additional responsibilities it does not currently include? The role of the CIO is always expanding. We have to keep our aim focused on a broad goal; to serve our customer and partner base to the best of our ability. If we have the skills and ability to grow our customer satisfaction and revenue, "the modern CIO" will make it happen, instead of placing boundaries on the role. Communication and efficiency are key, so it is important IT is seen as part of the global strategic team. It is well understood what initiatives we own and are driving and those we are assisting. A well organised CEO staff, like we have in Avaya, brings that discipline. Avaya IT is more than PC maintenance and technical troubleshooting; our mission supports revenue growth by improving our products. We work very closely with our Product and R&D teams to achieve the highest level of quality, which provides my role with a balance of innovation and operations. This is an ideal position for CIOs to fully implement transformation. Are you leading a digital transformation? If so, does it emphasise customer experience and revenue growth or operational efficiency? If both, how do you balance the two? Since "Digital Transformation" is an overused phrase, we define it simply; to improve in our processes every year and the eliminate manual steps/intervention. I think now something like our Quote-to-Cash process can be truly digital and not only does it speed up and streamline the customer experience, but also makes our systems far more agile—a disruption of old thinking and an elimination of complexity. Describe the maturity of your digital business. For example, do you have KPIs to quantify the value of IT? I love metrics—everything we do is measured. What does good culture fit look like in your organisation? How do you cultivate it? My team is global, so culture to me is something we embrace as an organisation. What I love about being a global CIO is that whatever is happening in the world, we have a multinational team that works well together. We build solutions, we deliver service and run 24x7 operations that support tens of thousands of customers, partners and associates around the world with a varied and diverse workforce that embraces teamwork and respect for one another. With respect anything is possible. What roles or skills are you finding (or anticipate to be) the most difficult to fill? I think the skill shortage for many organisations is a self-inflicted situation. There are two issues here; finance and location. Offering a fair market-rate salary and expanding your location search are the best ways to find well qualified candidates. It will be more difficult to find an ideal candidate if you've restricted the search to 30 miles from your office. Avaya looks to offer competitive compensation and we also we offer remote working capability to select candidates from the global pool of resources. Not every job can work in that way, but we have found many do, especially in technology. It's another chance for our company to embrace our own solutions like Avaya video conferencing and mobility solutions to connect teams worldwide. What's the best career advice you ever received? Be happy in what you do and whatever you do, do it well. Do you have a succession plan? If so, discuss the importance of and challenges with training up high-performing staff. Yes, hire people who can do your job and put them on a path to be able to do that. Broad experience is essential. What advice would you give to aspiring IT leaders? Learn every day, don't pigeon hole yourself in one tower (i.e. infrastructure, apps, architecture, security). Embrace change and be flexible. Looking back with 20:20 hindsight, what would you have done differently? Invested in Microsoft, Oracle, Amazon and Google when I first used their products and realised they were game changing. What are you reading now? Classic and Sports Car magazine. I am not a great reader of novels. The last book I read was ‘How Google Works,' by Eric Schmidt and Jonathan Rosenberg. Most people don't know that I… Collect Art Deco items. Less now as I have run out of space at home. In my spare time, I like to…Restore classic cars. I have two Austin-Healeys, plus I do enjoy clay pigeon shooting. Ask me to do anything but… Do not ask me to muck out horses.